On Saturday, the chief of the Arab League called on the world to officially recognize the State of Palestine with occupied East Jerusalem as its capital in response to U.S. President Trump’s decision to name the holy city as Israel’s capital, according to BCC. Ahmad Abu Al Gaith, speaking yesterday at the start of an emergency meeting of the 22-member regional bloc’s foreign ministers in Cairo, said he "condemned" Trump’s decision and called it "dangerous and unacceptable" as well as a "flagrant attack on a political solution" to the ongoing Israeli-Palestinian conflict. The decision, he said, raises a question mark over Washington’s role as a peace mediator, not just in the Middle East but in the entire world. “The decision amounts to the legalization of occupation,” Abu Al Gaith said, according to the Washington Post. 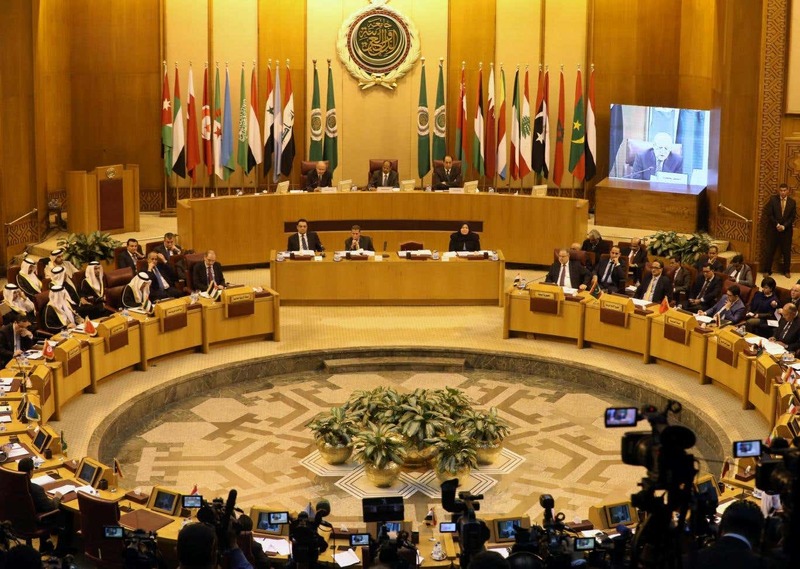 In a strongly critical statement issued following the emergency meeting, the Arab League warned that the move "deepens tension, ignites anger and threatens to plunge the region into more violence and chaos". "There will be no meeting with the vice-president of America in Palestine"
Earlier on Saturday, an aide to Palestinian President Mahmoud Abbas said that he will refuse to meet U.S. Vice-President Mike Pence later this month, as protests gripped the occupied territories for a third straight day. "There will be no meeting with the vice-president of America in Palestine," Abbas’s diplomatic adviser Majdi Al Khaldi told AFP. "The United States has crossed all the red lines with the [occupied] Jerusalem decision," he added. In addition, Egypt’s Coptic Pope of the Orthodox Church Tawadros II has canceled a meeting with Pence. "In view of the U.S. administration’s decision made at an improper time and without consideration to [the] feelings of millions of Arab people, the Egyptian Coptic Orthodox Church apologizes for not receiving Mr. Mike Pence during his coming visit," the church told Reuters. Pence is expected to visit Egypt on December 20 as part of a Middle East trip aimed at promoting Trump’s decision to relocate the U.S. embassy. Meanwhile, the Palestinian death toll in Israeli attacks during clashes rose to four. Over the past few days, the UAE, Saudi Arabia, Egypt, and Jordan amongst many other Arab countries have each issued individual statements criticising Trump&apos;s Jerusalem decision. Meanwhile, Arabs across the world continue to unite against America&apos;s controversial decision and completely reject Trump&apos;s Jerusalem declaration. "He [Trump] doesn&apos;t speak for me"
#Jerusalem is not the capital of Israel no matter how many times Trump says it. He doesn't speak for me. "Jerusalem will always be the capital of Palestine. Always." Jerusalem will always be the capital of Palestine. Always.